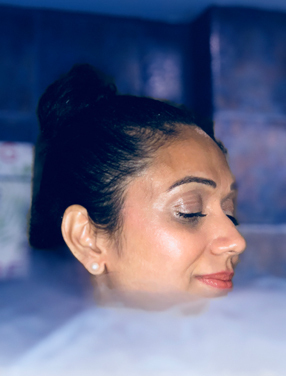 Cryo Heal is a specialty whole body cryotherapy studio strategically located in Mississauga to serve the health-conscious community within the GTA. Cryo Heal is one of the few available locations for whole body cryotherapy treatment in Toronto, so book your sessions today before they’re all filled up! Cryo Heal’s mission is to deliver superior, innovative cold therapies to accelerate athletic recovery, relieve pain and elevate your wellbeing. Our goal at Cryo Heal is to ensure overall enhanced wellness for our clients. This means we want you to feel, look, and perform at optimal levels so you can lead your healthiest and best life! Cryo Heal is always available to meet your needs and help you recover. Our trained, experienced and knowledgeable staff want to help you become the best version of yourself so you can do what you love to do! At Cryo Heal, we offer the best deals so you can get the whole body cryotherapy session you need without breaking your bank. Visit our pricing page to see the packages we offer as well as seasonal deals and steals!